Another Purge in North Korea? A new appointment suggests that Kim Jong-Un may have purged the DPRK’s number two… again. 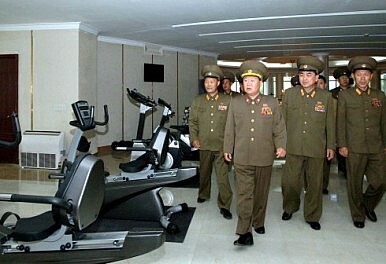 North Korean leader Kim Jong-un has potentially conducted another purge of his number two in the reclusive country. On Friday North Korea’s state news agency, the Korean Central News Agency (KCNA), referred to Hwang Pyong-so as the director of the General Political Bureau of the Korean People’s Army, the military’s top political officer. The position is generally regarded as the second most important in the country’s military after the Supreme Commander post that is held by Kim Jong-Un himself. Hwang is seen as a close confidant of Kim Jong-un and has enjoyed a meteoric rise through the Party and military ranks during Kim’s tenure. According to Yonhap News Agency, Hwang was made a four star general earlier this year and just five days ago was given the rank of vice-marshal, the second highest military rank in the Democratic People’s Republic of Korea (DPRK). Hwang’s apparent appointment as the director of the General Political Bureau of the KPA leaves open the possibility that Kim Jong-un has once again purged the second most powerful person in the country after himself. Last December, Kim made headlines by very publicly purging and executing his uncle Jang Song-thaek, who at the time was widely seen as at least the second most powerful person in the country and quite possibly a potential challenger to Kim Jong-Un himself. With Jang’s removal, Vice Marshal Choe Ryong-hae was seen as the new number two in North Korea’s power structure. Choe served as the director of the General Political Bureau of the KPA, Vice Chairman of the Party Central Military Commission and a member of the National Defense Commission. His father was a close confidant of DPRK founder Kim Il-Sung and Choe himself has recently served as Kim Jong-Un’s main envoy to China. Earlier this year, however, there was wide speculation that Choe had been purged as he hadn’t been seen in public for some time. Many reports suggested that he had been arrested, and South Korea’s government said it was investigating this possibility. In March of this year, however, Choe reappeared in public albeit limping. The earlier purge rumor seemed to put to rest last month when Choe was named as a vice chairman of the National Defense Commission. He was also seen on North Korean national television as recently as last weekend. The fact that he has now been removed as the military’s number two therefore comes as nearly a complete surprise. The KCNA report—which as is customary didn’t even mention Choe or make note of the change when it introduced Hwang as the director of the General Political Bureau of KPA—did not indicate whether Choe had lost any of his other titles. At this time, South Korea’s government is saying that it does not believe that Choe has been purged from the regime. “We think it is unlikely that Choe Ryong-hae has been purged,” Kim Eui-do, a spokesman at the Unification Ministry of South Korea, was quoted by the New York Times as saying. Some attributed the change to what is believed to be Choe’s declining health. Choe’s demotion and possible purge would also be consistent with Kim Jong-Un’s ongoing efforts to fully entrench himself as the country’s undisputed ruler. Part of this process is removing individuals who rose to power through their loyalty to his father and predecessor, Kim Jong-Il, and replacing them with people who are dependent on him for their influence. Choe was seen as a fierce loyalist to the late Kim Jong-Il, and therefore has to be restrained if not completely eliminated by Kim Jong-Un. If the general assessment that Choe lacks an independent power base is accurate, this makes him easier to remove but also lessens the need to do so. With his upcoming trip to Russia, Choe Ryong-hae appears to have regained his position as North Korea's number two.